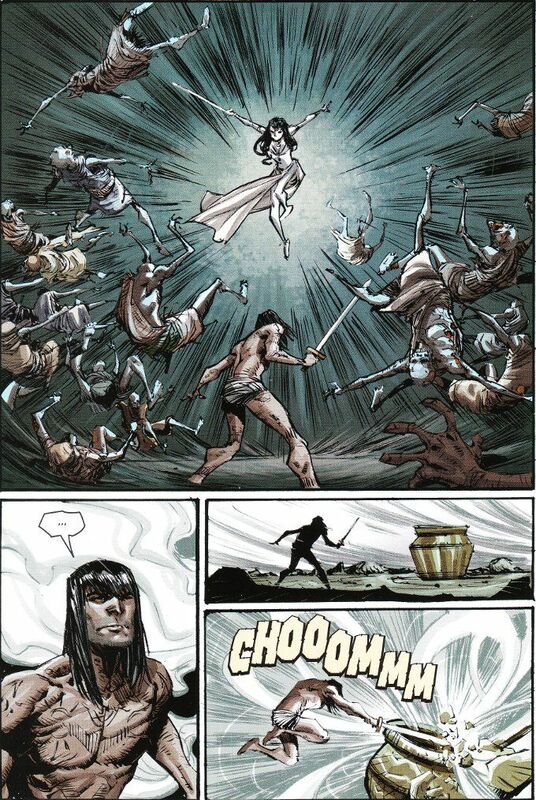 I savaged the first issue of Conan The Avenger in a review for Kabooooom.com and was honestly ready to call it quits on this book for a time. The artwork was terrible in several respects. The dialogue was decent, though the actual story of the book was rife with plot holes. About the only thing the book had going for it was that writer Fred Van Lente had clearly done his homework researching Robert E. Howard's Hyboria and had chosen a solid foundation on which to build a unique story. Sadly, this second issue has done little to justify what little hope I had that things might improve. If anything, the artwork has become even worse. Brian Ching manages the impossible, creating figures that are vaguely defined yet somehow rendered with overly complex line-work. You can see some attempt at detailing but you can't see any of the details! Colorist Michael Atiyeh also does this book a disservice by painting everything with a washed-out palette that holds little aesthetic appeal. Astonishingly, it was the story that vexed me most this time around - specifically the revelation that the ghost of Belit is now haunting Conan and frequently jumping in to aid him in battle. While this is somewhat more welcome than Brian Wood's treatment of Belit in his adaptation of Queen of The Black Coast, it almost seems that Van Lente is over-correcting in trying to right Wood's mistake. Wood depicted Belit's famous manifestation as a protective spirit as a hallucination on Conan's part. 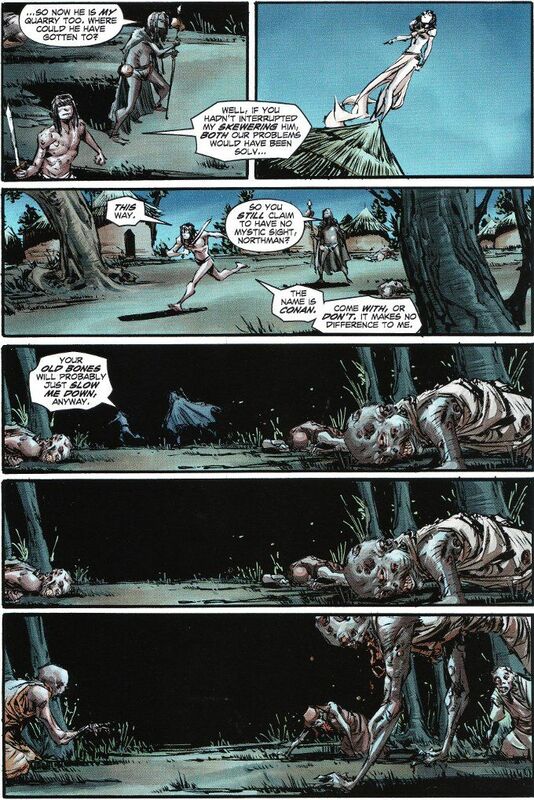 By contrast, Van Lente eliminates all mystery regarding Belit's appearance, depicting her as a ghost who cannot rest until Conan finds peace with her death. Neither of these ideas seem true to the Howard cannon, which deliberately kept the details of any sort of life after death vague excepting those forms of undeath that resulted in monsters being created, such as the Lost Women or the victims of The Pool Of The Black One. Regardless, this is the worst Conan story since his return to comics under Dark Horse's aegis. I'll likely keep reading this book for the sake of keeping my collection complete and warning you good people away. But there's no reason for casual Conan fans to waste their time on this book.